The main venue for the upcoming FIFA World Cup has passed the BREEAM international certificate awarded to sustainable buildings. 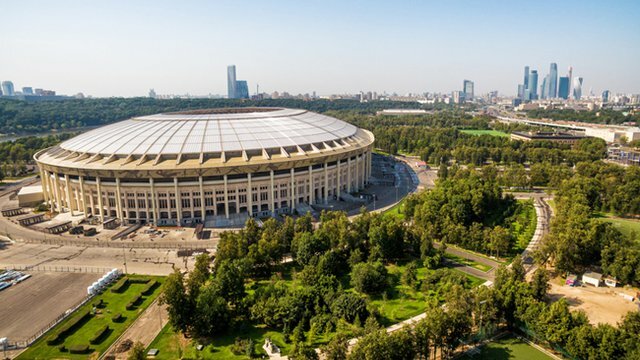 Luzhniki Stadium in Moscow, originally built in 1955, has undergone a complete renovation ahead of the tournament to ensure it meets FIFA’s standards, reports Climate Action. The World Cup, which takes place every four years, will be held in Russia between June 14 – July 15 across 12 venues. Energy conservation is now a strong feature of the Luzhniki site, along with LED lighting and water-saving technology. It is estimated that hundreds of thousands of liters of water will now be saved during match days. In addition, 1,050 new trees and bushes were also planted and the surrounding landscape conserved during reconstruction. Spartak Stadium, also in Moscow, and Kazan Arena have both also achieved certification for their sustainability efforts. "Stadiums are key in our efforts to stage a successful and more sustainable FIFA World Cup, which is why FIFA has made green certification mandatory for all arenas used for the event,” said Federico Addiechi, FIFA’s head of sustainability and diversity.